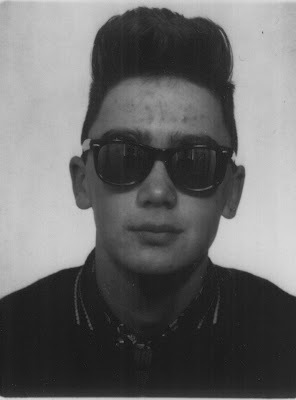 As an antidote to those repulsed by my sudden lapse into vanity, here is adolescence at its worst. The excruciating hair, the skin like the surface of a malcontent planet, the sunglasses that don't work. Would you want to be a parent of this? wooooow....you look a hot mess! You could have left this one alone! you were a vain and kinda ugly. but we've all been there. lol!! lol. I have enjoyed looking at your pictures, the evolution of Jeremy. We've all been like this at one point of adolescent life. I don't think you look as bad as people are saying on here. You look like any average teenage boy to me. It's just a picture. You turned out alright, even convinced a hottie to marry you.